We've followed Robot Politics through to its natural conclusion through Robots In Disguise on to Till All Are One. What's the next logical step? Add wizards, of course! 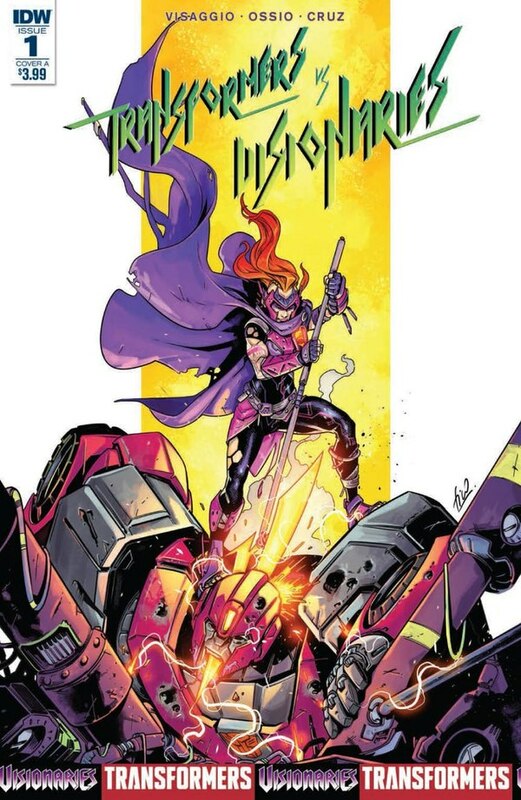 Transformers Vs. Visionaries #1 is written by Magdalene Visaggio with art by Fico Ossio and David Garcia Cruz. "How dare they imprison us! We only tried to overwrite their entire planet with ours!" 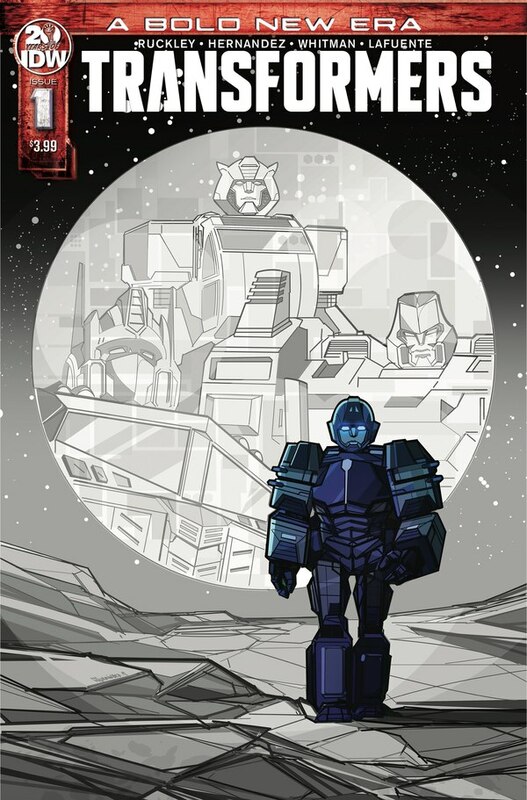 It's hard adapting to a new writer on a Transformers book after going so long with more or less a stable pool of three, but Magdalene Visaggio is quite good. I like the Visionaries characters in particular so far, where I think Visaggio has an advantage because we don't have anything to compare against. 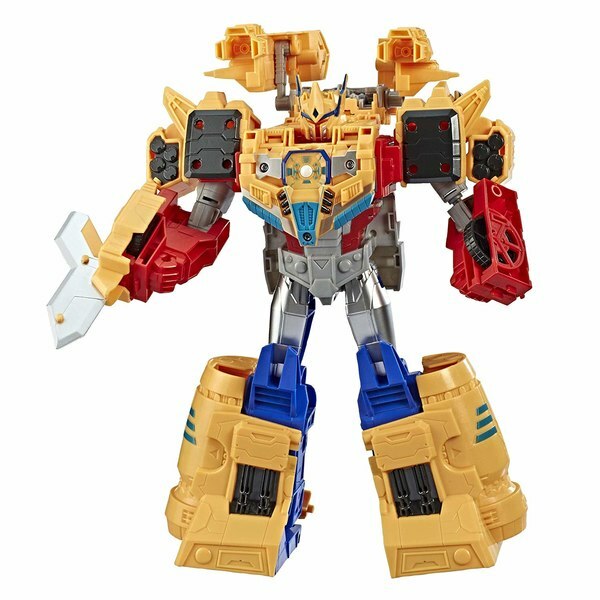 Ironhide having something of a problem with organics surprised me, and it took me a bit to separate that from assessing a new writer taking over long-established characters as something that felt "wrong." I don't think it is wrong, but that was my first instinct - which I regret. 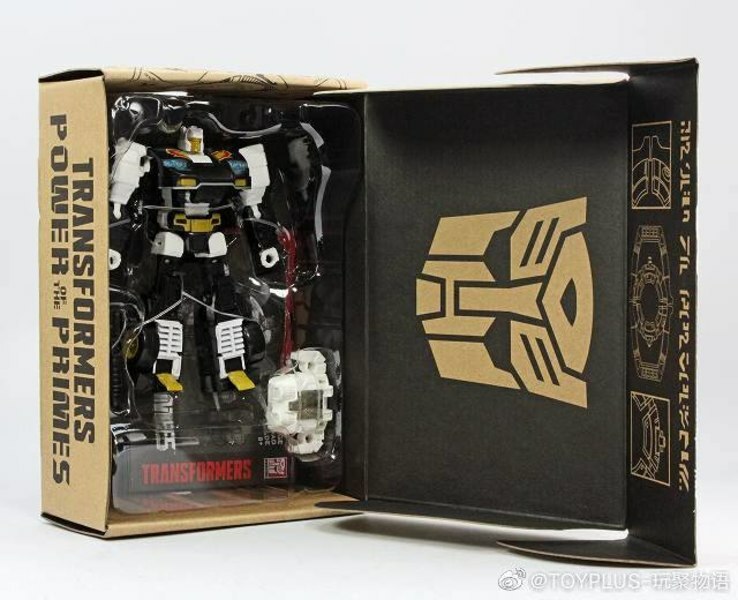 It's something I didn't expect of Ironhide, is all. 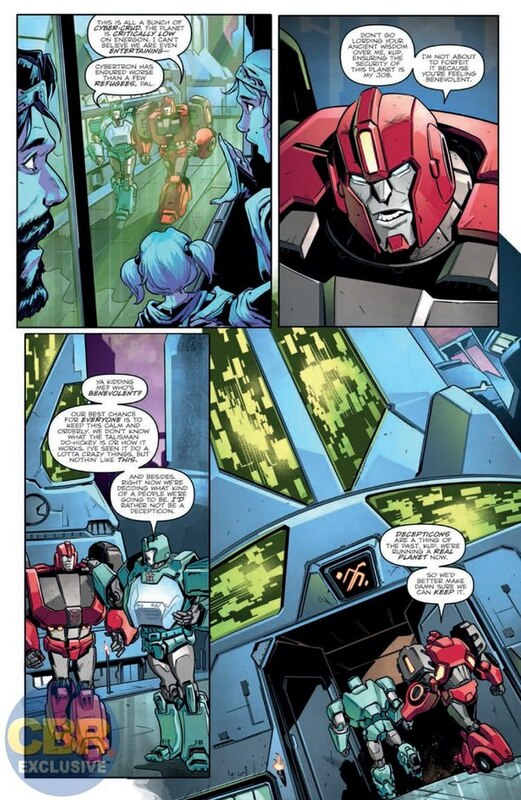 As with other characters we've seen have interesting reactions to humans lately, I believe this is his first significant interaction with them in the time I've been reading IDW - and it's as a very real security threat to Cybertron, which is a pretty solid justification for his discomfort. 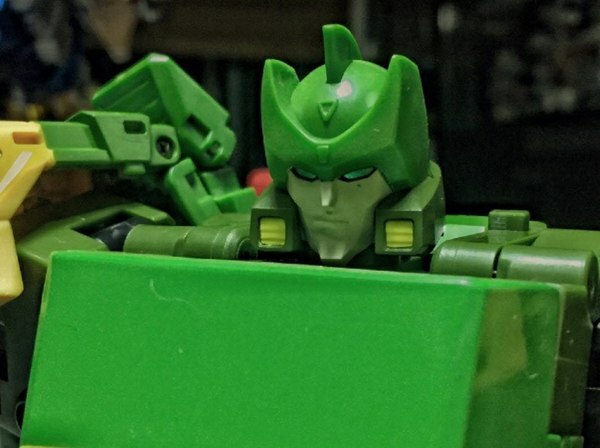 And watching that discomfort mesh with his duties as more or less the police chief for all of civilized Cybertron is taking him to places I wasn't expecting of him. Which is probably good! I do wish that it wasn't quite as clear from early in exactly where that attitude was going to take the story. 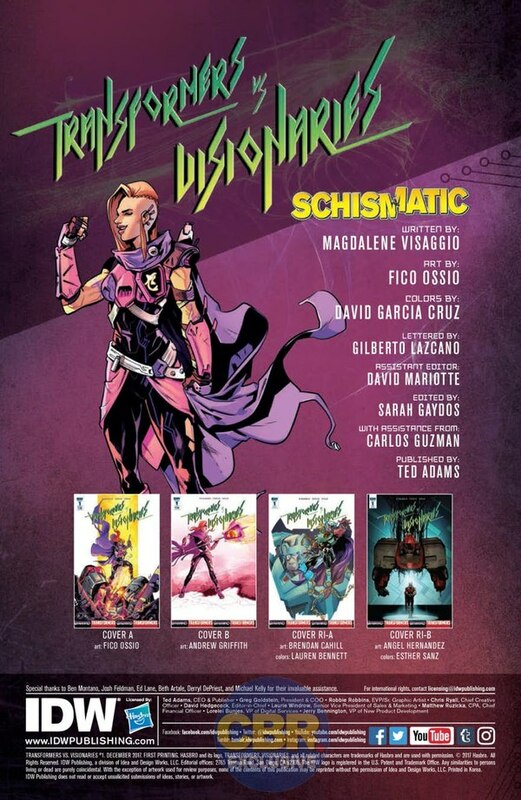 More time with the Visionaries before we jumped into this crossover would've been good, but this is more or less the pilot program for their presence in the IDW Hasbroverse, after all. While both Visionaires factions are - like the Autobots and Decepticons - currently working together, the Darklings are not at all happy with the restrictions of New Prysmos. 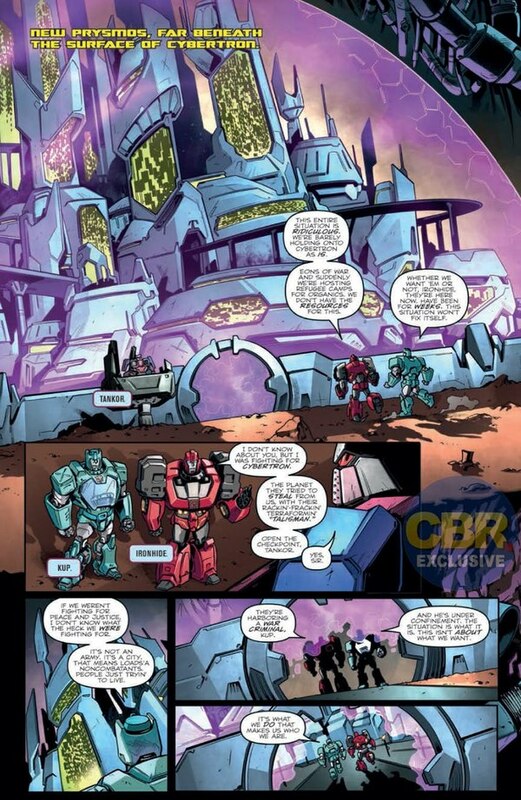 Put that together with Ironhide not being at all happy with an occupying force just springing up on Cybertron all of a sudden, and Kup trying to maintain peace between both parties as best he can, and the stage is set. 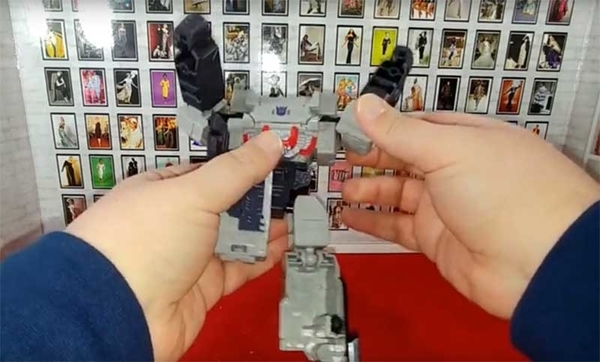 As with all the other Hasbro properties, the Visionaries have been given heavy redesigns, so be happy you got that classic-style Leoric at SDCC last year! Fico Ossio, whose work I last saw during Revolution, does great work with the human and fantasy elements in this comic in particular. 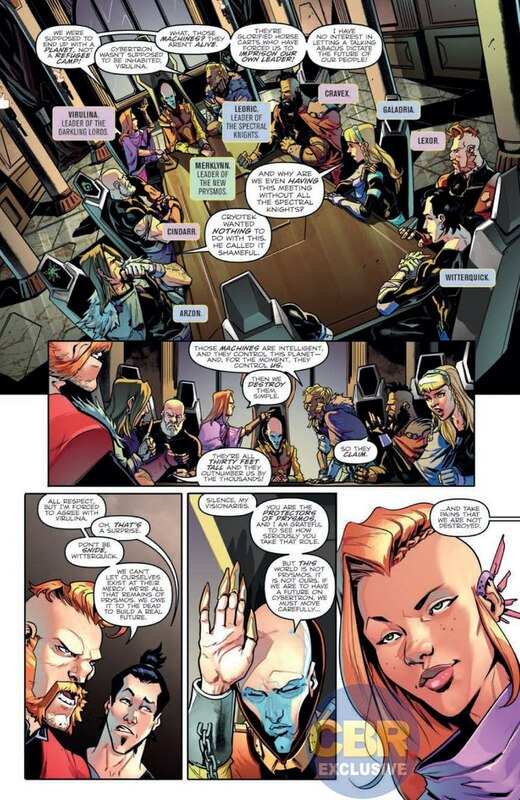 The visual standout character, Virulina, is the one whose choices seem to be driving the plot. It's doubtful she'll have any problem sustaining the page time she's given throughout. The way Ossio draws Transformers is not always my style, but they're not badly done. He's clearly more comfortable drawing them than he was last time, and they've got some good, goofy life to them. 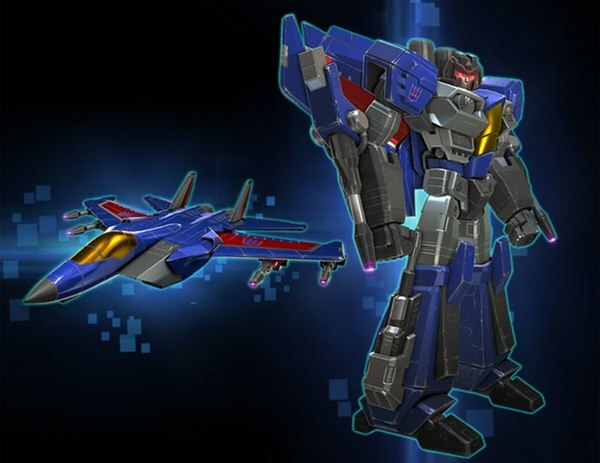 If we were to see a major movie studio do a G1 animated movie, I think the characters would look like this, as there's a kind of classical animation flavor to them and their movements. Overall though, it's the Visionaries side of the book that really shines. 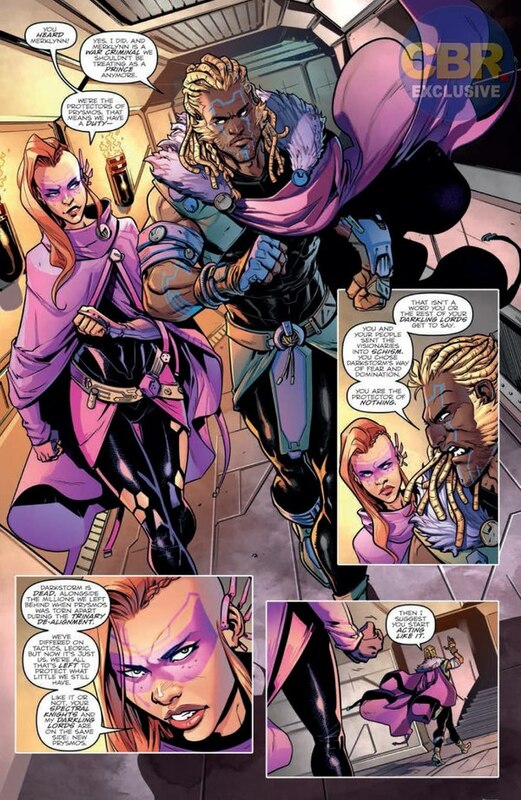 David Garcia Cruz is an excellent colorist who is doing great work here. He seems very well suited for a magic and fantasy-based comic. 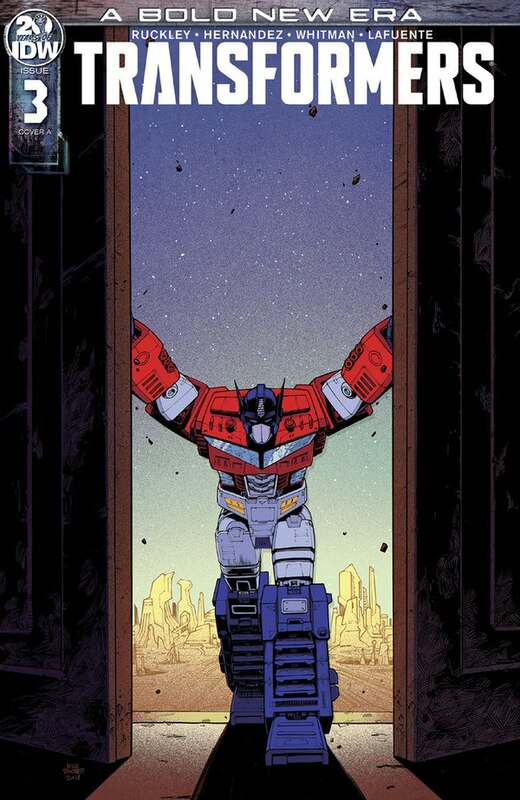 There's some spots where he gets some great contrast out of very similar colors; you'd think you couldn't make Ironhide stand out in front of a red background, or make what's behind a green window stand out very well with a blue foreground. But Cruz can! 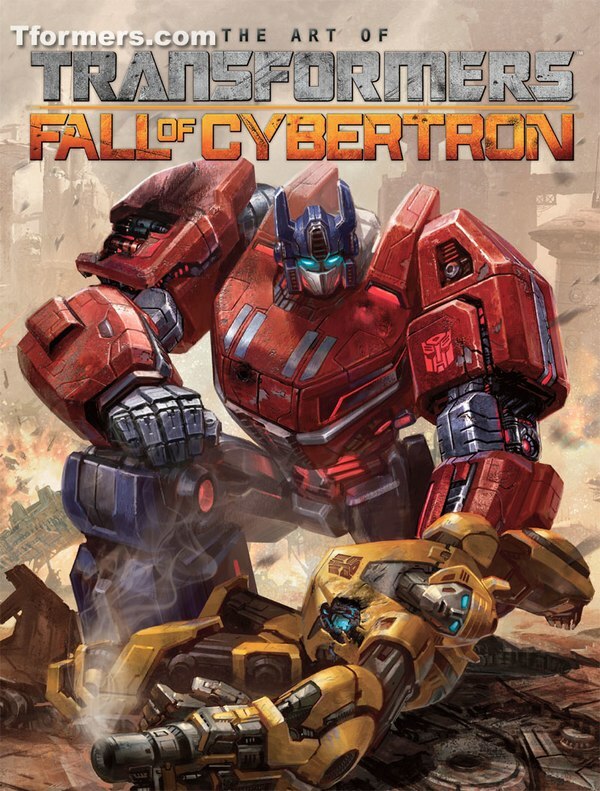 Fico Ossio's own cover shows Virulina attacking Ironhide in a scene not in the book's interior. It's well done, but... I'm really not into this Transformers gore thing going on in a couple of these covers. Andrew Griffith's Virulina is a bit less rough around the edges than Ossio's, but I like the composition here. Brendan Cahill and Lauren Bennett have Kup in the background and Leoric in the foreground, and I like the background image taking a shape approximating a lion's head. 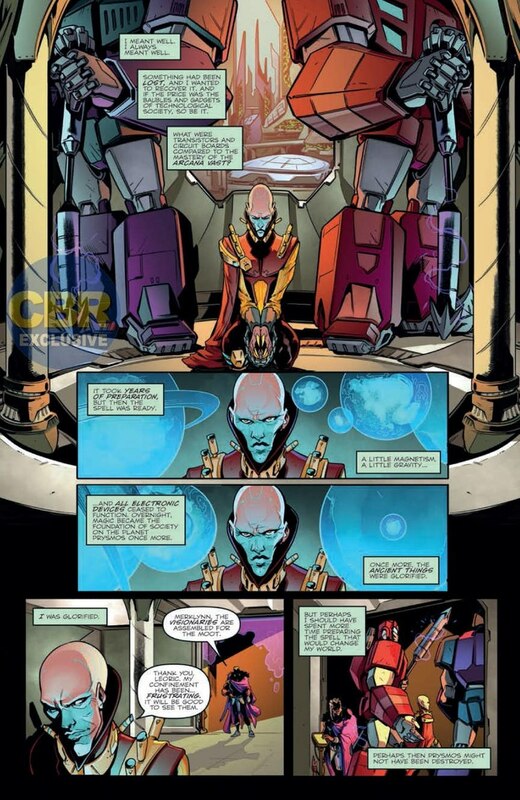 Lastly, Angel Hernandez and Esther Sanz give a compelling image of a bisected Ironhide being studied by Merklynn - which is also not in the book. But again, I'm okay with that. 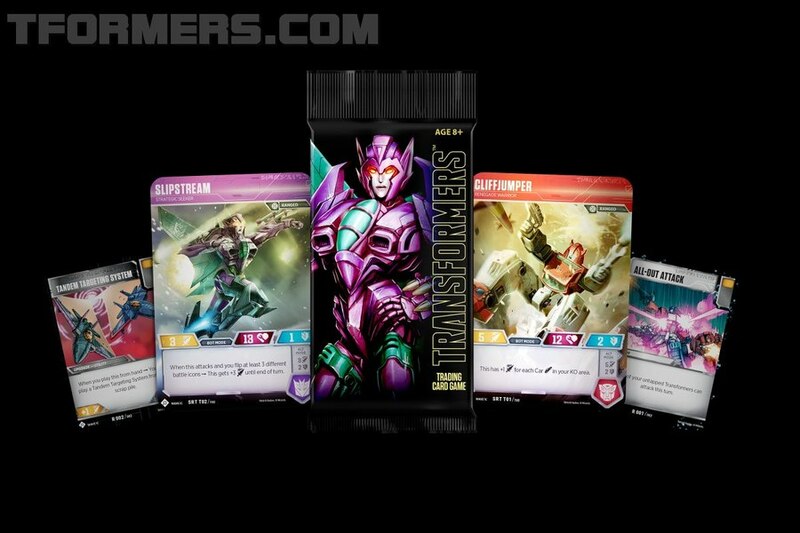 So, here's the thing: where ROM vs. Transformers had Cybertronians as a focus and was largely done by regular IDW Transformers writers and artists, Transformers Vs. Visionaries is so far none of those things. 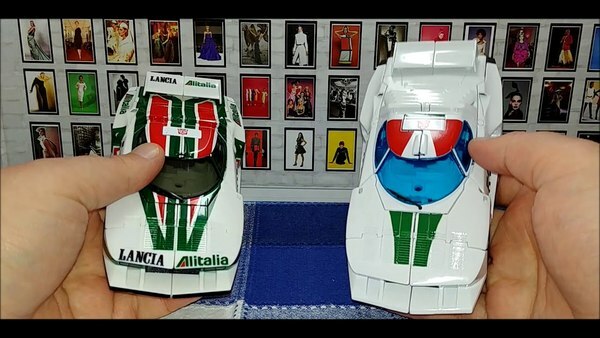 It's pretty solidly a Visionaries book. And there's nothing wrong with that, and I know some people that's going to be a great thing for (Hi, Don!). But while I'm not going to say anything for certain at this point, given how much time is being given to the Visionaries I don't know if I'll continue reviewing this series. It's not at all bad, but it's right on the edge of being outside the scope of this site, and of my interest zone in the IDW Hasbroverse. So much like Revolutionaries, we may let this one pass in the future. But if Visionaries is a thing you're interested in, check it out!